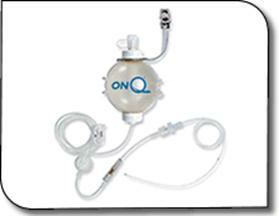 The I-Flow ON-Q Pumps with ONDEMAND Bolus Button has just been recalled. FDA is concerned that the Bolus Button may not lock in the down position and/or the bolus refill indicator is defective. As a result of these defects, the pump may release a continuous infusion of pain medications and/or anesthetics that is greater than anticipated, resulting in serious injury and death. If you or a loved one have had an On-Q Pump that delivered too much medication, which resulted in serious injury or death, call today to speak with an experienced medical device attorney.